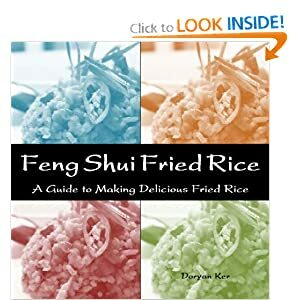 They say that using day old rice makes fried rice taste better and for the most part I agree with that, but it also highly depends on the type of rice you have, how you cooked the original rice, how old it is, and how you like your fried rice. Some people like it a little drier where the kernels are separated but some people like it a little more soft and with some moisture. It just all depends on personal preference. For this fried rice I used freshly cooked jasmine rice so it’ll be a little softer but and if you cook it right then it won’t clump together. Cut the hot dog to small pieces, baby bok choy heads chopped, Mince the garlic, Scramble the eggs. In a large frying pan, Heat the vegetable oil until hot. Then add the minced garlic and fry lightly for 10 seconds. Move the garlic to the sides of the pan and add in the scrambled egg. Don’t worry if some garlic mixes in, it’ll all be together in the end. After the eggs are scrambled then add the hot dog and bok choy. Add a dash of salt and white pepper. Stir fry all those ingredients until the bok choy is starting to wilt. Once that happens add in the cooked rice. Now this is probably the hardest part of the entire recipe. Mix the rice in with the other ingredients without spilling it all over the cook top. Some patience is needed in this step. Now add in the soy sauce and if you like hot sauce, oyster sauce... you can add some here as well. Stir, mix, flip, fry till your desired consistency. taste and add salt, pepper, or more soy sauce if needed. Then cook longer if you’d like. The important part is that everything is mix together well.